The Hull-based improvised electronic musician Phill Wilson is gearing up to release two debut solo albums (under different monikers - myonemanband and BLACKFACE) that can be enjoyed separately or played together for a unique surround-sound experience. The new synchronised singles can be heard via Youtube - we invite listeners to use a separate device for each video in order to experience the music in a stereo setting (but if you are in a rush, just use one device and simply press play on both videos below). Adjusting volume levels and synchronisation is also suggested. Phill Wilson has long been a live staple in the Northern English city of Hull, impressing crowds with his incredible ability to create textured, deep electronic music on-the-fly, with a variety of instruments, iPads and looping devices. He also regularly updates his YouTube channel with one-off live improvisations, creating a healthy following of devoted music fans. 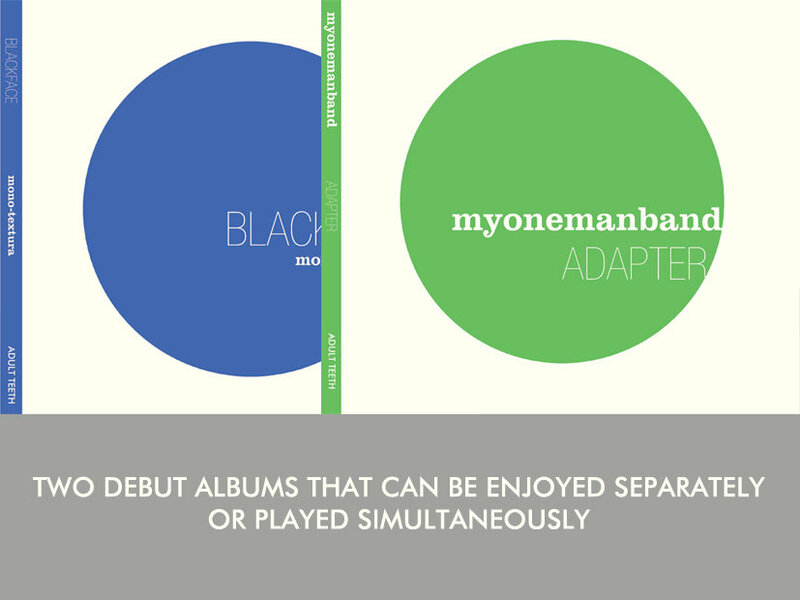 He has split his talents into two projects for his debut releases - myonemanband is Phill's improvised electronica output (and the name he uses when performing) and BLACKFACE is the name he gives to his ambient, dronescape project. Phill lists among his influences: the pianos of Ryuichi Sakamoto, the instrumentation of Four Tet, the glitches of Aphex Twin, the song structures of Dan Deacon and the theories and dress sense of Brian Eno. The debut albums will be released on Feb 3rd, via The Adult Teeth Recording Company, and can be bought as a set with an Adult Teeth wraparound.